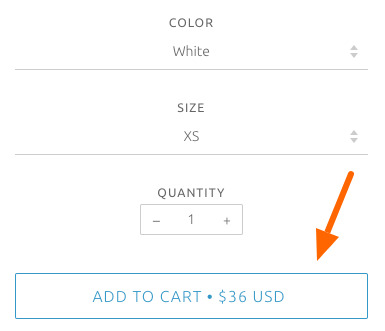 Use that color setting to help make your button stand out better. This requires a basic code change to your CSS file. 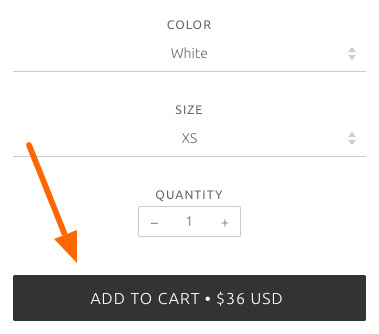 The result is a filled background color for the Add to Cart button. Note: Where to add the code is covered below. (1) The value of #333333 is the hex color code for the background color (almost black). Change that value (#333333;) to any hex color code. Be sure to include the semicolon at the end. 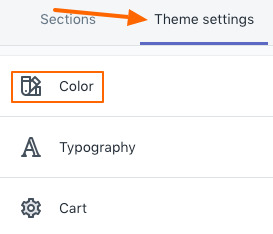 (2) The border color around the button. Semicolon is required at the end. 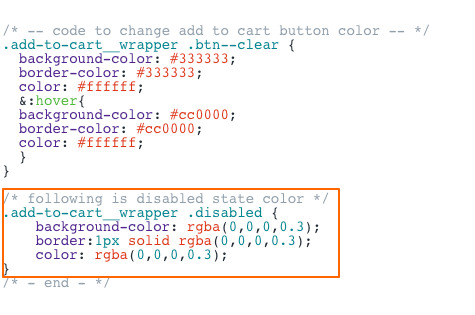 (3) The text color (#ffffff; is white) over the button. Semicolon is required at the end. (4) Background hover color. You can modify the value of #cc0000; (red) to any hex color code you like. Semicolon is required at the end. 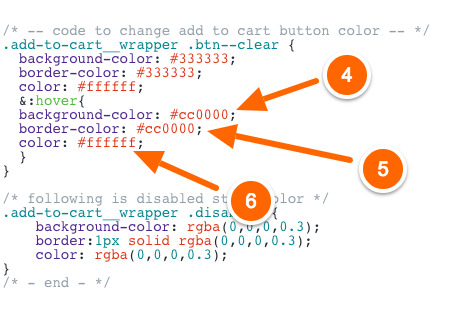 (5) Border color for hover. Semicolon is required at the end. 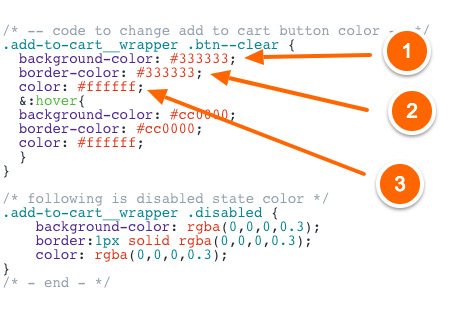 (6) Text color (#ffffff; is white) when hover is in effect. Semicolon is required at the end.